Hiring a new candidate is never easy. There are a number of fresh and experienced people out there looking for a job. But once you acquire the perfect candidate with the right skill sets and talent, onboarding and retaining them is a challenge which most HR professionals face today. According to one research, 91 percent of employees stick around for at least a year at a new company, and 69 percent of them stick around for at least 3 years if the company has a well-structured onboarding program. Hence, it’s crucial to have a well-designed onboarding process in place to make the new hire feel at ease and also to increase retention rates. Gamification is the new mantra incorporated into onboarding to improve the process of welcoming a new employee into the company. Gamification in onboarding means implementing certain gaming principles such as progression, multiple levels, achievements etc. into the post-hiring processes. It promotes learning and development in a fun and engaging way. In a gaming environment, one would score points and move on to the next level, similarly, in a corporate environment, one is expected to achieve the goals set for them and move on to the next step. You can digitize the onboarding checklist and display the percentage of task completion. This could be set up on the employee’s mobile or computer screen. Seeing a progress bar inch towards completion gives one a certain sense of satisfaction. The employee would also feel a sense of achievement after finishing each step in the onboarding process, such as uploading of documents, receiving the access key etc. As per a study, people tend to forget most of the stuff they’ve learned within 24 hours. Making the new hire watch presentations and mundane corporate videos won’t help them in retaining the information. Conduct a quiz after they’ve gone through each orientation module and award them with points to unlock the next module. Make small targets for them to achieve in their first few weeks or months. You can put up a leader board to record the accomplishments of all the employees and reward them with small badges or certificates at the end of the month, this promotes healthy competition. With the help of employee training tracking software, the manager can track their progress and offer timely constructive feedback, encouraging them to score better the next time. A leader-board or a progress tracking tool also helps employees to gauge their performance and improve accordingly. 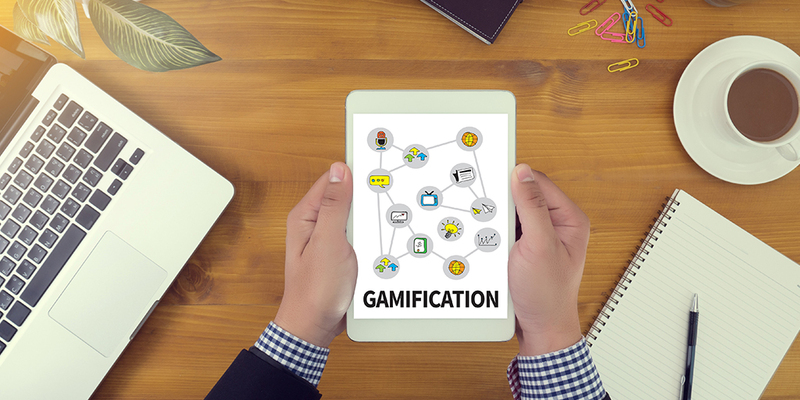 Gamification can also be used to deliver effective training. Creating virtual scenarios where the employees have to undertake certain actions and make quick decisions can improve their decision-making skills and gives them an understanding of how to proceed in an actual scenario. Gamification does not necessarily have to stop after the first few months of onboarding. Continuous engagement and activities will always promote productivity and engagement and will ensure a healthy employer-employee relationship, which in turn would reduce turnovers. Hence it is essential to develop an effective onboarding process that uses gamification to enhance the experience of the new hire.